Police have released a photo of a woman whom they believe committed the theft. Cherry Hill Police are asking for the public’s assistance in identifying a suspect in an ongoing theft investigation. Cherry Hill Police posted a photo of the suspect on social media Thursday afternoon. 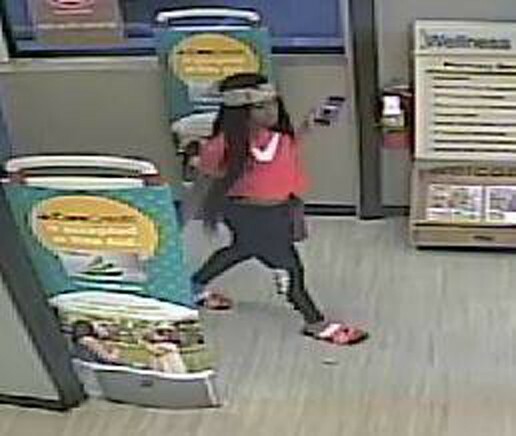 The woman is thought to have a committed a recent theft at the Rite Aid in Cherry Hill Township. The woman is pictured walking into the store and wearing a bright pink shirt and black pants. Anyone with information on the suspect is asked to contact Det. Kristina Grimaldi of the Cherry Hill Police Department at (856) 432–8835 or Kgrimaldi@cherryhillpolice.com. Information can also be provided anonymously at tips@cherryhillpolice.com or http://nj-cherryhill.civicplus.com/forms.aspx?FID=84.